They're the two hardest words for many folks to say: "I'm sorry." Dr. Gary Chapman, author of "The Five Love Languages" shares how these two simple words can transform your relationship. Bob: Can you think of the last time you apologized for something you did wrong in your marriage?—the last time you said, “I’m sorry.” Here’s Dr. Gary Chapman. Gary: We found that about ten percent of the population almost never apologizes for anything. Most of them are men: “Real men don’t apologize.” Most of them were taught that by their fathers. Now, you know where there father got that—John Wayne, the great theologian. I never heard my father apologize to my mother. I’m not saying he didn’t, but I never heard him apologize. So, I came into marriage with no model of apology. Bob: This is FamilyLife Today for Thursday, March 6th. Our host is the President of FamilyLife®, Dennis Rainey, and I'm Bob Lepine. We’re going to get a little coaching today in how to say, “I’m sorry,” and speak the language of apology. Our coach is Dr. Gary Chapman. Stay tuned. Bob: It’s true. It’s true. Dennis: Everybody learned a new language. Dennis: And you know what I’m talking about. Bob: I do know what you’re talking about. Dennis: Dr. Gary Chapman spoke on the Love Like You Mean It cruise. Of course, many of our listeners, if not all, know about his book, The Five Love Languages. Bob: That’s right. He spoke on all five of those love languages the first night out on the cruise, here, a couple weeks ago. Here’s what I thought was interesting—the next morning, he did a message that we’re going to hear today—that was about how you should ask for and grant forgiveness. I thought, “This may be a good way to start the cruise because there may be some people coming on the cruise”—you think?—“who need to resolve some issues to make the rest of the week smooth-sailing;” you know? Dennis: If you don’t know who Gary Chapman is—he is the author of The Five Love Languages,which has sold almost 10 million copies—been translated into 36 languages. He is the senior associate pastor of Calvary Baptist Church in Winston-Salem, North Carolina. He and his wife Carolyn have two adult children and two grandchildren. And he’s a delight—he is just a funny guy—with a delightful southern—little southern touch—just a little bit of flair. Bob: Yes. It was great to see the audience onboard the cruise responding, taking notes, and paying careful attention to what he was sharing. One of the things about the Love Like You Mean It marriage cruise is that it’s not just a vacation. You’re getting some solid, helpful, biblical information, all week long; and you’re getting a chance, onboard the cruise, to begin to put some of the stuff into practice. Dennis: —maybe, a little early. You don’t have to have your anniversary on Valentine’s weekend to be able to go with us on the Love Like You Mean It cruise, but it’s a lot of fun—it’s a lot of spiritual growth. You’re joining a lot of people—all onboard the same ship—with, really, a single purpose. Bob: Between now and March 14th, if you’d like to make plans to join us next year on the Love Like You Mean It marriage cruise, we have some special pricing in place. You can go to FamilyLifeToday.com. Click on the link there for the Love Like You Mean It marriage cruise. Find out more about who’s going to be there. Find out about the special pricing that’s available. We’re about 50 percent sold-out right now. In fact, when we got off the boat, we were about 50 percent sold-out for next year because the people who came this year all want to come back next year. Dennis: They all had their little armbands on, which said, “I signed up.” In fact, I ran into some at the airport—it was how you could spot people who’d been on the cruise. Dennis: They were wearing our little green armbands, letting others know that they were going to be on the 2015 Love Like You Mean It cruise. Bob: So, again, go to FamilyLifeToday.com for more information about next year’s cruise. Here’s just an example of the kind of teaching that is provided onboard the cruise. 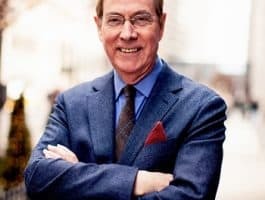 Here’s a message from Dr. Gary Chapman, talking about the need for all of us to learn how to do a better job of seeking forgiveness and granting forgiveness in marriage. because, if you don’t deal effectively with your failures, they sit as blocks between the two of you. When one of you offends the other, it creates an emotional block. If you don’t deal with it, it doesn’t go away with the passing of time. It sits there. Then, there’s another failure and another block; and then another, and another, and another. Eventually, we have a high wall between the two of us. It’s very difficult to talk over a wall or through a wall. So, we cannot have long-term, healthy marriages if we don’t deal effectively with our failures and keep those barriers removed. Now, dealing with out failures involves two things—it involves apologizing and it involves forgiving. So, let’s talk about learning to apologize. “I’m sorry that I came home an hour-and-a-half late, and we missed the program. I know you really wanted to go.” “I’m sorry that I lost my temper and screamed at you.” Tell them what you’re sorry for. If you simply say the words, “I’m sorry,” your spouse may well be thinking: “You certainly are! [Laughter] Is there anything else you’d like to say?” You see, in your mind you’re apologizing. In their mind, you’re giving a character report. [Laughter] Tell them what you’re sorry for. the prodigal son. Listen to the regret in his voice. This is Luke 15, verse 21. He says to his father, “I am no longer worthy to be called your son.” Do you sense the regret of that? You see, this is an emotional apology language. You’re trying to communicate to the other person that you feel badly about what you’ve done. You’re hurting because you know that you’ve done something that’s been detrimental to the relationship. This son recognized that he made poor decisions and wasted all of his inheritance. Now, he’s come back home; and he’s feeling sorry. He’s telling his dad: “I don’t deserve to be your son. If you just give me a job on the farm, Dad, that’s all I’m asking. Just give me a job on the farm.” He regrets what he’s done. You see, you come to God with a broken heart over what you’ve done, whether it’s in your marriage or somewhere else that you’ve violated God’s principles. You come to God with a broken heart—regretful of what you’ve done—and you will find mercy with God. Most of the time—on the human level—if you come with a broken heart—and you try to communicate to them how sorry you are, how much you regret what you’ve done, how much you realize how you’ve hurt them, and you try to express that regret—on the human level, most of the time, people will also forgive you. She said, “I haven’t seen it.” I said: “Well, it was in there by the dresser. I mean, you must have moved it!” She said, “Gary, I haven’t seen your briefcase.” I said: “Carolyn, think! I have to get the kids to school. [Voice getting louder] Think! I know you moved it! Nobody else would have moved it!” I went on—two or three more rounds. Every round I got higher, higher, and higher. I was screaming at my wife. Can you believe that? Me! [Laughter]—scream at my wife! So, for whatever reason, if you have difficulty with this, I want to challenge you to learn how to do it because the reality is, all of us do wrong. There are none of us here that have been perfect husbands and perfect wives. We need to accept responsibility for our wrong. A third language of apology is making restitution or offering to make restitution: “What can I do to make this right?” Now, I’m guessing that there are some of you who have never spoken this apology language to your spouse. You never learned this, growing up. It’s not something you consider to be a part of an apology; but for some people, this is what it means to apologize. If you don’t offer to make restitution, in their mind, you’re not sincere. In fact, in their mind, you have not yet apologized. But if you say: “I’m sorry. Honey, I can’t believe I did that. I thought about it yesterday—I was going to do this and I—but Honey, I was wrong. I’m just totally wrong; but Honey, look. I know we can’t do anything tonight, but let me make it up to you. What can I do? We can still celebrate. What can I do to make it right?” She’ll have an idea! A little trip to Hawaii might do it!—[Laughter]—making restitution or offering to make restitution. Number four is genuinely repenting—expressing the desire to change: “I don’t like this about me. I don’t want to keep doing this. I know I did the same thing last week, and I don’t want to keep doing this. Can we talk? Can you help me? Can we get a plan so I won’t do this again?” You’re expressing the desire to change your behavior. Jesus Himself came preaching repentance. Repentance is big in the New Testament and the Old Testament. Repentance means turning around—turning away from the behavior. Number five is actually requesting forgiveness—requesting forgiveness: “Will you forgive me? I hope that you can find it in your heart to forgive me.” Now, again, I’m guessing that, for some of you, you have never thought of this. You have never asked for forgiveness—you say: “Well, Gary, wait a minute. If I’m apologizing in some of those other ways, I mean, don’t they know that I want to be forgiven? Why do I have to ask for forgiveness?” Well, for some people, this is what it means to apologize. And her mother said, “I was blown out of the saddle. I said, ‘What are you talking about?’ She said, ‘You remember, three weeks ago, when you did da-da da-da da-da?’” She said, “Yes, I remember that; but I told you I was sorry!” The lady said, “I know, but you never asked me to forgive you.” Her mother said, “Well, then, let me ask you to forgive me. You see, it wasn’t that she didn’t want to forgive her. It’s in her mind her mother had never apologized to her. She was waiting for the apology. For some people, this is what it means to apologize. This shows that you value the relationship. When you ask forgiveness or you say, “I hope you can forgive me,” you’re expressing to them that you value this relationship; and you want this to be dealt with. You want to remove the barrier and come back into the relationship. Bob: —I remember hearing him say that the ability for a couple to resolve conflict is the key skill in a marriage relationship. Bob: If you want to know whether a marriage will go the distance: “How well does that couple resolve conflict?” That’s the key issue. What a great exhortation—that if we practice, in the marriage relationship, Bob, I think it’s what insures a marriage relationship can go the distance. Bob: Yes, and I’d just add to that a little preventive maintenance in your marriage from time to time—having a time for the two of you to get away, and to celebrate, and relax, and to enjoy being together, as a couple. You might want to consider being with us next year on the Love Like You Mean It marriage cruise—February 9th-13th—we’re going to be leaving from the port of Miami, going to Key West and then to Cozumel. The ship is about 50 percent sold-out, right now. We have some special early-bird pricing happening between now and next Friday, March 14th. So, it you’d like to join us and be on the cruise next year, go to FamilyLifeToday.com and click on the link you see there for the Love Like You Mean It marriage cruise. Voddie Baucham’s going to be with us next year. We’re also going to have Kirk and Chelsea Cameron onboard. We’re going to have Andrew Peterson. Guy Penrod from the Gaither Vocal Band is going to be there—Michael Junior—and we have some special guests we have not been able to announce quite yet. We hope to have this tied together pretty soon—we’ll let you know. It’s going to be a great week. Find out more—go to FamilyLifeToday.com. Click the link for the Love Like You Mean It marriage cruise, and we hope you can sail with us next February. Now, tomorrow, we’re going to hear more from Dr. Gary Chapman about how we seek and grant forgiveness—how we say, “I’m sorry,”—and how we forgive one another. Hope you can join us for that.